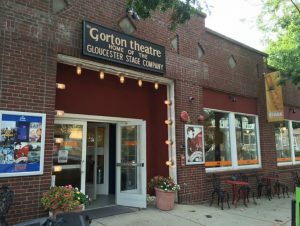 Gloucester Stage Company was co-founded in 1979 by Geoff Richon, Denny Blodget, and award-winning playwright Israel Horovitz as a safe harbor for playwrights and new plays. For its first seven seasons, the company performed at the historic Blackburn Tavern in downtown Gloucester. In 1987, Gorton’s Seafood Company generously offered GSC a long-term residence in its building in East Gloucester on Smith’s Cove adjacent the galleries and restaurants of Rocky Neck, the oldest art colony in the United States. A former Gorton’s warehouse, the two-story brick building has served as the permanent home of the Gloucester Stage Company ever since. Plays developed at Gloucester Stage have gone on to critical and popular acclaim on Broadway, off-Broadway, across the United States, and around the world. The Company has received numerous awards and citations including several Elliot Norton Awards. Israel Horovitz stepped down as Artistic Director in 2006 but continues as a prominent member of the artistic company and member of the Board of Directors. Robert Walsh is the current Artistic Director, with Jeff Zinn as the Managing Director.